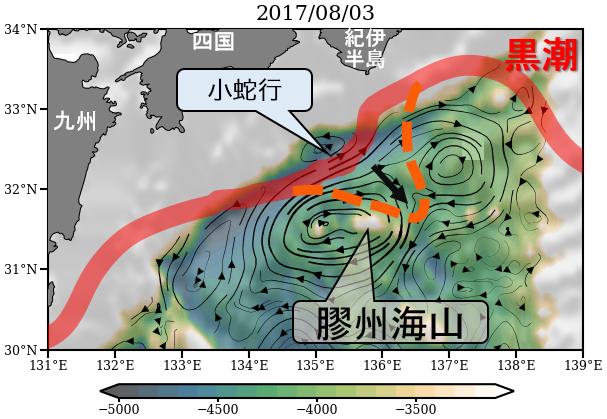 Endoh, T., and T. Hibiya, 2009: Interaction between the trigger meander of the Kuroshio and the abyssal anticyclone over Koshu Seamount as seen in the reanalysis data. Geophys. Res. Lett., 36, doi:10.1029/2009gl039389.